Mahira Khan is a beautiful actress from Pakistan but she is working in Bollywood India also at this time, she has started her career from modeling in Pakistan and after that she also appeared in Pakistani TV dramas on various channels like Hum TV, ARY DIGITAL etc. Here in this Post you can read about her husband, son and family and you can also watch Mahira Khan’s pictures and videos with them. 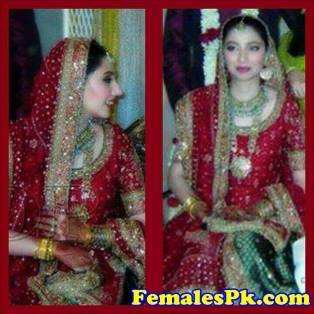 The beauty queen actress of Asia Mahira Khan was married with a famous TV actor of Pakistan named “Ali Askari” he also belongs to Pakistan Television industry from years. Husband of Mahira Khan “Ali Askari” is trying so hard to get TV industry on top. 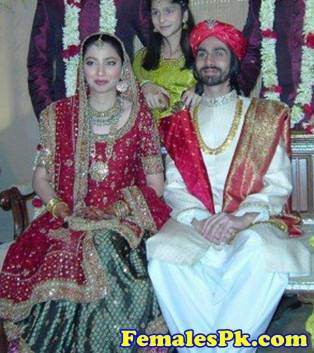 He was meet her at the start of her career when she was doing as VJ in MTV and he helped her so much to get success her life, after that he purposed her for marriage and she accepted her proposal and got married with Ali Askari on July 13, 2007 and they bind there selves as husband and wife, So many famous personalities attended their marriage ceremony. We also shared the wedding ceremony pictures of this couple here below, so to watch these pics just scroll down now! Recently a news was running on social media websites and blogs that Mahira Khan divorced from her husband, and some blogs had written that is a rumor but after some time she confirmed that she has taken divorce from her husband and they are living individually, they lived together 6 years and 8 months after their marriage. Couple has one child (Son) and his name is Azlan Khan, we have published Azlan Khan Pictures and videos below. Here you can watch the cute photos of her beautiful and charming son Azlan Khan, you will watch his birthday party, tours and at home images. Now here in this paragraph you will watch the images of their wedding (Marriage) ceremony and you will also watch their personal life moments and photos so enjoy these snaps and leave your comments about this Ex-couple. So less people know her real and full name, her full name is Mahira Hafeez Khan, Hafeez Khan was her father name, she was born Dec 21, 1982. She had worked in Pakistani TV dramas and also worked as VJ. She got her higher studies from Foundation Public school FPS Karachi, after that she had moved to USA in the age of 17, and joined Southern University of California and started her studies, but she could not completed her degree. She started her career as VJ on Aag TV and MTV at the age of 16, her shows name were Most Wanted (MTV) and Weekends with Mahira (Aag TV). After that she has worked in Pakistani BOL Urdu movie it was her debut film in the year of 2011, this movie was directed by Shoaib Mansoor (well known director from Pakistan) and after that she also worked in many TV drama serials, “Drama List” Neeyat, Hamsafar, Shehr-e-Zaat, Sadqay Tumharay, Bin Roye, Manto and Ho Mann Jahan, now she is working in Bollywood film Raees with Shahrukh Khan (Top Famous actor of Bollywood India) and the top director of India Rahul Dholakia is directing this upcoming Hindi movie. She has chosen 10th Sexiest women of Asia by Eastern Eye poll, so we can say her “Sexiest Women” of Pakistan. There are so many fake profiles and ids on the name of her but here we are sharing her real twitter and facebook ID and profile, so you can follow your most favorite actress Mahira Khan on your social networks. Leave your reviews and comments about her acting, performances, personal life etc.